The winter sales will begin on Wednesday, January 9, 2019 and end on Tuesday, February 19, 2019. However, special dates are applied to certain border and overseas departments (except in Martinique and Mayotte where the sales take place on the same dates as in mainland France). The following departments in metropolitan France have different sales dates – Meurthe-et-Moselle, Meuse, Moselle and Vosges where the winter sales begin on Wednesday 2 January 2019 and end on Tuesday 12 February 2019. Saint-Barthélémy and Saint-Martin from Saturday 4 May 2019 to Friday 14 June 2019. In the Reunion, the next sales will be the summer sales that will take place from Saturday, February 2, 2019 to Friday, March 15, 2019. Sale items must have been offered for sale at retail price for at least 1 month before the beginning of the sales. 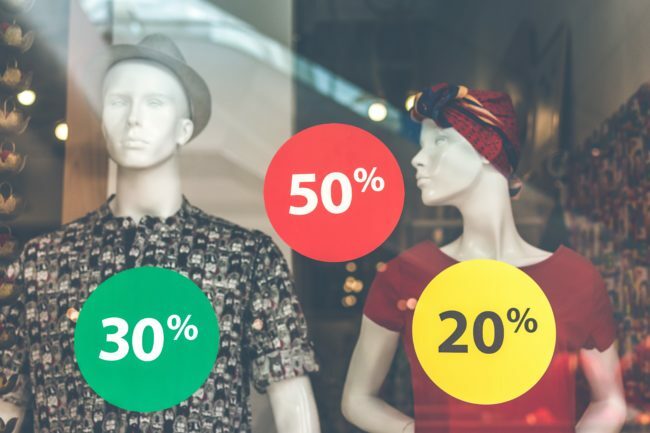 The distinction between discounted and non discounted items in the store must be clearly visible to consumers. In the event of a hidden defect, the seller is obliged to replace the item or refund it. If there are no hidden defects, the merchant is not legally required to exchange or refund.